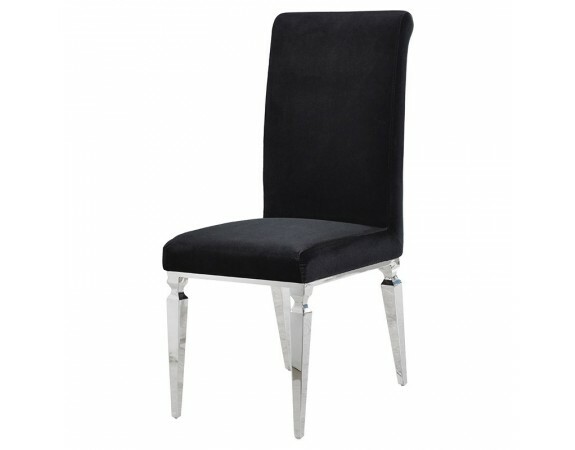 Part of our collection of modern designs, our Venetian dining chair works beautifully as a contemporary edge in a dining area. 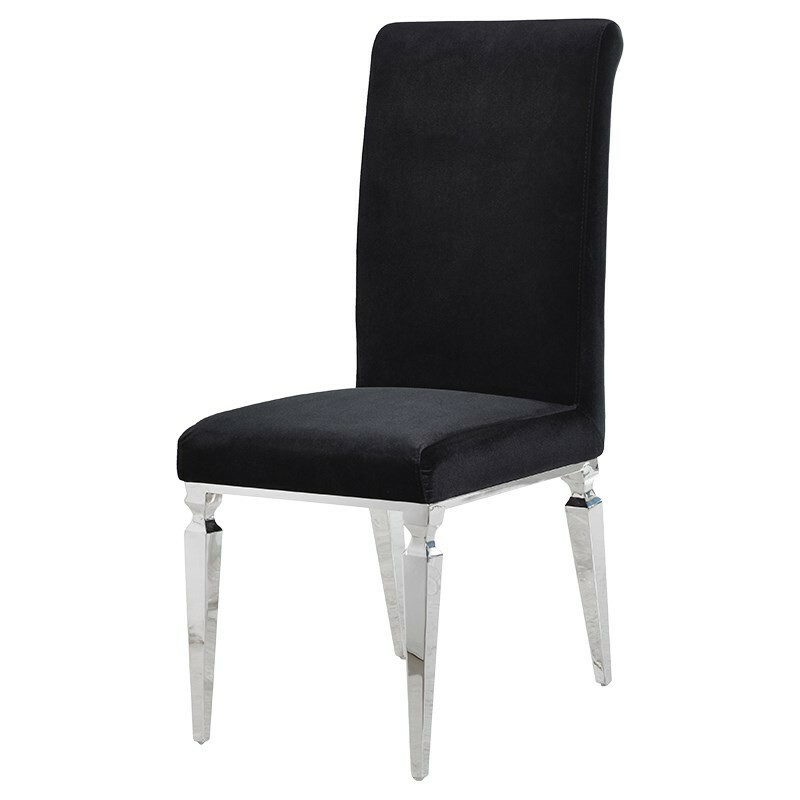 It boasts and exemplary velvet upholstery that gives it a rich black luxurious feel to accent the glimmer and class of the mirrored legs. It is a truly eye-catching design with a simplistic silhouette that works with all interiors, but can be perfectly matched with similar contemporary or mirrored dining tables for a sophisticated atmosphere.